Pryssgränd is a street on Södermalm in Stockholm. 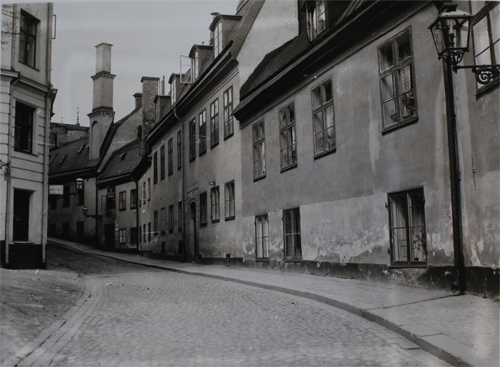 The street is located on Mariaberg between Bellmansgatan in the west and Pustegränd in the east and runs parallel to Söder Mälarstrand. 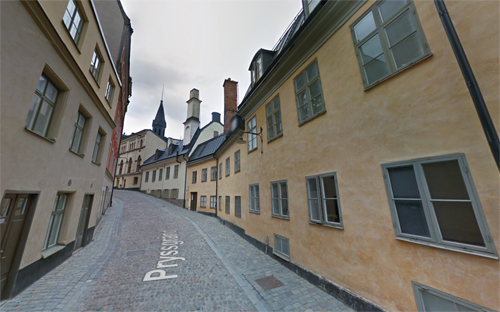 Pryssgränd has got its name from two mills, Stora and Lilla Pryssan, which lay high on the mountain. The mills were named after a 1600s miller named Johan Persson Preutz (dead 1691), which made Pryss in Swedish. In the 17th century it was common to write Prussia for Preussen. At the name revision in 1885, Lilla Bastugatan received the name Bastugatan and Lilla Bastugatan. 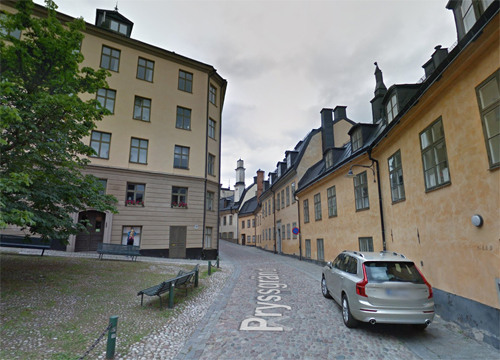 In 1921, the name committee suggested that then Lilla Bastugatan would get the name Pryssgränd to prevent confusion with Bastugatan. In 1925, the amendment was implemented. The house at Pryssgränd 8 is with its windows in the facade and its smooth-faced facades typical of the 18th century building on the Mariaberg. In the neighborhood towards Lake Mälaren there were many colorieries and a burner burner. These activities required a lot of water collected from Riddarfjärden. 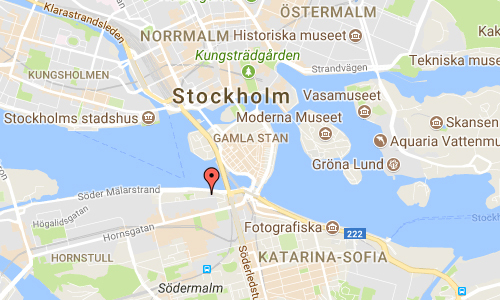 Before Söder Mälarstrand was established in the late 1800s, the plots stretched all the way down to Lake Mälaren. At the end of Pryssgränd (nr 12) is the old entrance of the old Mariahiss. 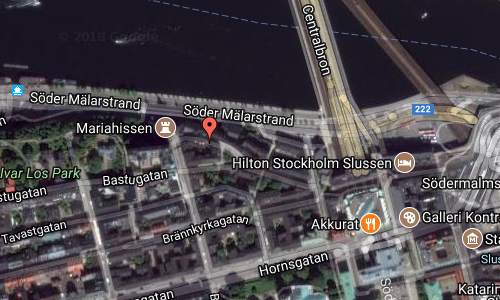 In the early 1900s, the restaurant Du Sûd was also adjacent to the lift with a breathtaking view over the Riddarfjärden. Mariahissen was laid down on August 8, 1937, outpaced by the increasingly expanded tram traffic. The settlement on the Mariaberg is a so-called reserve area. 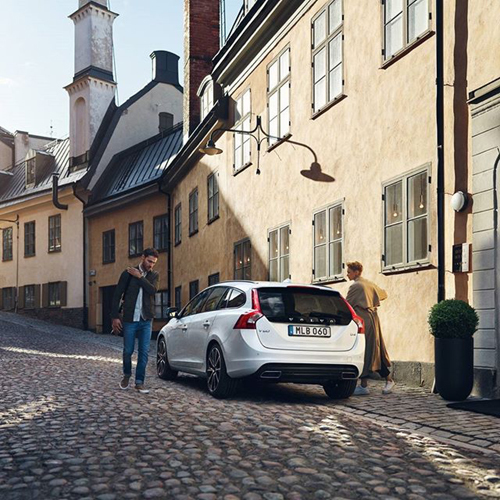 These include a number of properties in a preserved cultural heritage, such as the Old Town and Djurgårdsstaden.